Jaaaaa ... kein Hitpotenzial, deshalb auch nur eine #1 nach der anderen in den britischen Charts.<br><br>Solide 4. Nun gut, die UK Charts stehen seit jeher nicht immer für unbedingte Qualität (schon in den 60ern gab es Skurillitäten)..<br><br>Ihre Stimme ist nicht schlecht. Über ihr Aussehen kann man streiten. Woran es wirklich mangelt, sind die stupiden Sounds. Die machen alles austauschbar.<br>R.I.P. war nicht schlecht, alles andere ist nicht nur blöd und nervig, sondern auch einfach nur fad.<br>Ganz knappe 2.5* plus. 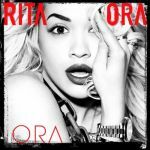 Rita Ora has appear unexpectedly but the way she appears with her inspiration is quite lacking and dweary. And the album didn't surprise me at all. I may gotten into the How We Do song. At 2012 was such a banger until now is still a banger but fading out shortly. I did listen to this three and a half times till I got sick of it and made me feel and say "She is a boring female artist as a English". <br><br>I still like her but if she does not pick a better song and keeps getting dweary more, then I am gonna bore her. Plus she had never made another album after having I Will Never Let You Down or even Your Song for years so I don't know where she will go this time.